A walk through Phuket’s old and new markets, cafes and restaurants, tasting what seems like an unlimited amount of delicious food. The belly filling street food tour in Phuket is a top thing to do in Thailand for all ‘foodies’. 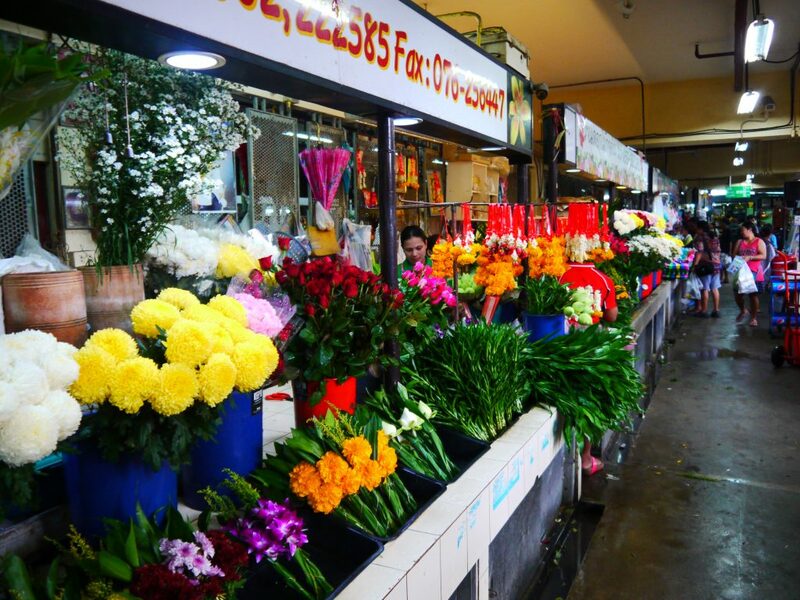 The day begins with you making your way to outside Phuket Old Town Indoor Market on Ranong Road. It’s easy to reach as all the buses coming and going from here to Patong stop just outside, but you will receive more details and address on your voucher too. Your guide will be wearing A Chef’s Tour t-shirt.t, to meet your lovely English-speaking food tour guide. 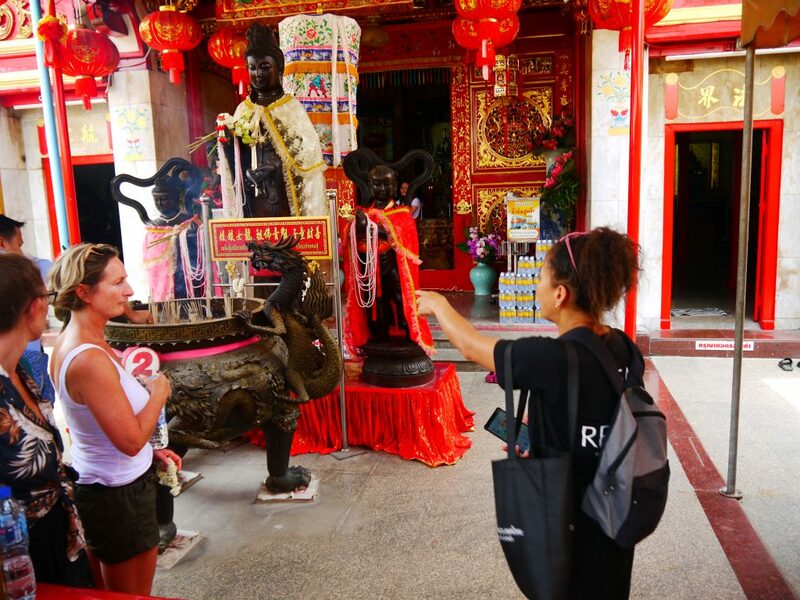 Our guide ‘Perma’ had a personality you will remember forever, she ensured our bellies stayed full, a smile was on our face and our Knowledge of Phuket/Thailand grew throughout our time on the street food tour in Phuket. After meeting and greeting, you will make your way through the local Thai market. 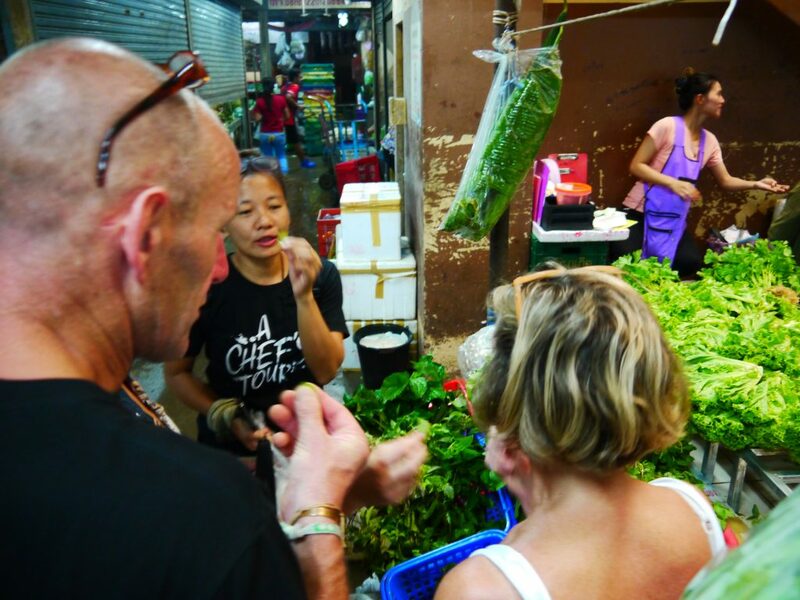 Learning about local ingredients in Phuket. For example, how curries are made, the prices of the goods and how the market stalls have changed over the years. 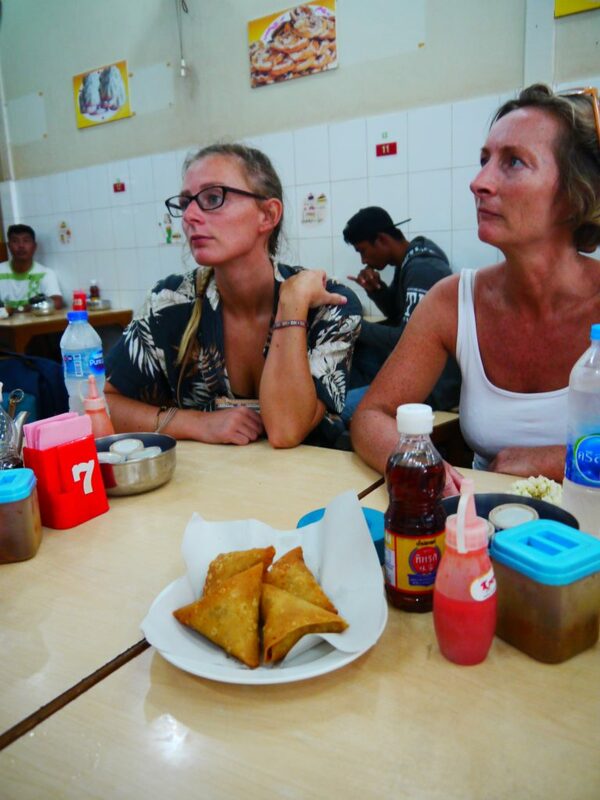 After the learning, smelling and photos of the local markets, it’s time to make your way to the first restaurant to taste local made Myanmar curry, nann breads, samosas and tea. The food here is epic, don’t scoff it all down though! You still have a lot more food to get through. 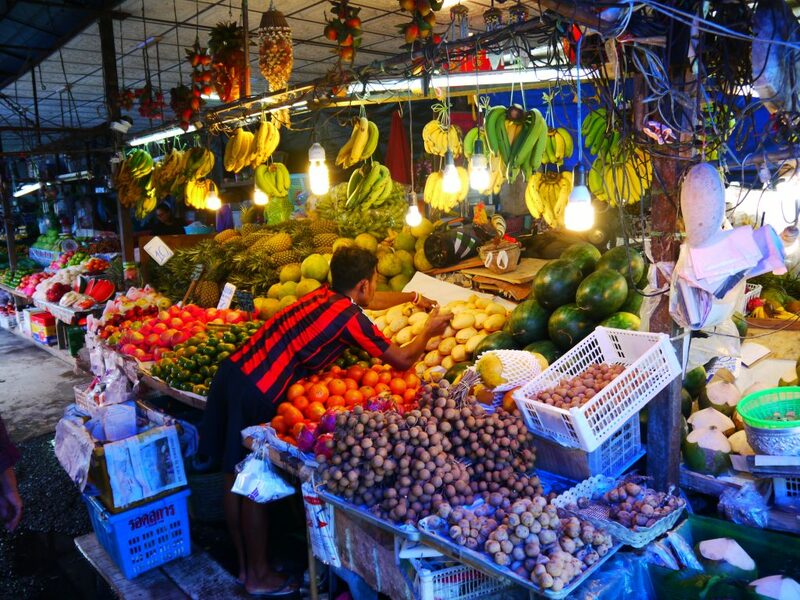 Throughout the street food walking tour in Phuket, you will make your way through lots of different food stations. Perma made sure we walked to each place, this helps “food digestion”, which means you can eat more of the food at all the different places to eat in Phuket. 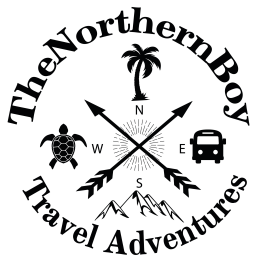 The are a few Phuket walking food tours, but I would highly recommend the food tour we took part in. You are guaranteed a good time, an interesting guide and mega food. 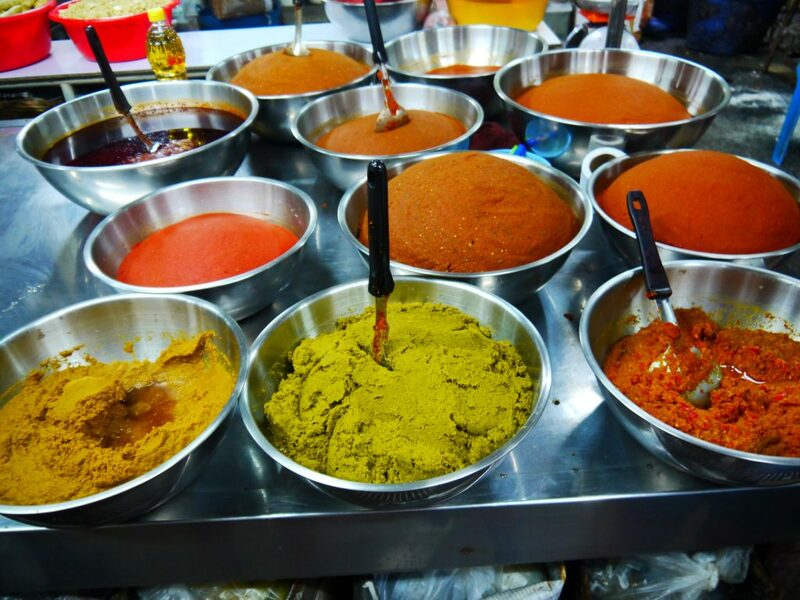 You can book the street food tour in Phuket online at a Chef;s tour this will cost you $60 per person. However, you will surely get your money back in the amount of food you eat. 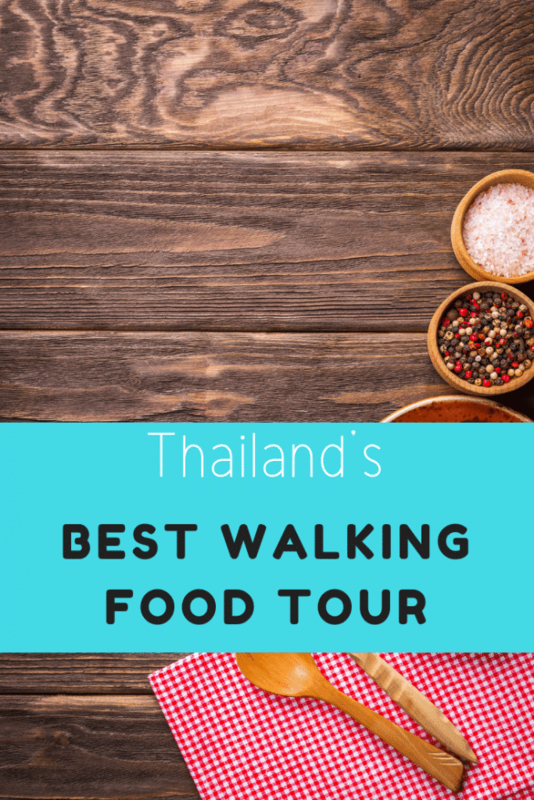 When booking things to do in Phuket on the street, I didn’t see many places that offered the Phuket food tour. So I would probably just stick to booking online. The team at a Chef’s tour offer great customer service and will answer any queries on your walking food tour. They are quick to answer as well and usually get back to you within a couple of hours. 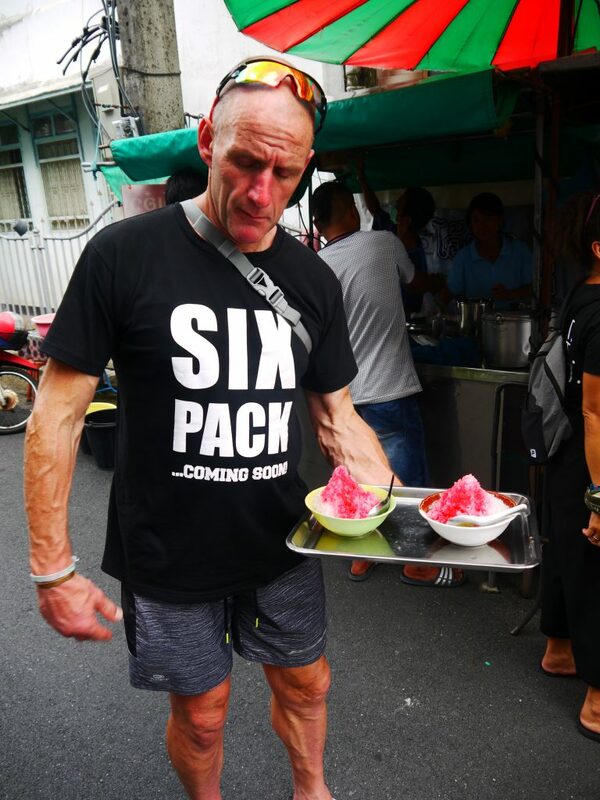 Good cothing for the food tour – As I’ve already mentioned, you will be eating a lot of food on the street food tour in Phuket. So you don’t want to wear uncomfortable clothing. Wear something you going to feel comfortable in with a belly full of food, ie loose pants or shorts. Sensible footwear for the walking tour – You will clock up a few miles on your trainers and the tour lasts between 4-5 hours. So, make sure wear comfortable footwear for walking the streets of Phuket. I wore my Nikes, any runners will be sweet for your walking food tour. In addition, you will be walking on flat land, no hills or anything strenuous. Just food and fun. Avoid a heavy breakfast – Having a large breakfast is probably one of the worst mistakes you can do. You are obviously going to be feasting on plenty of food throughout the day, therefore you want a nice empty stomach at the start of the day. This way you will avoid feeling bunged up at the first food hurdle. We stayed in an all-inclusive in Phuket, but we still managed to have a light breakfast. 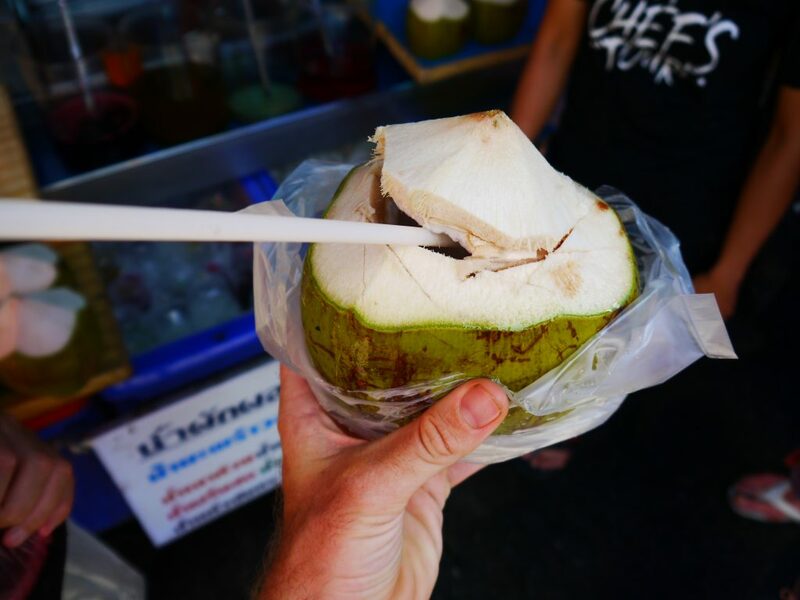 You will thank yourself on the day of your street food tour in Phuket. You will likely be walking in hot weather – You should check the weather in Phuket before you embark on the food tour, you don’t want to be carrying a coat around in hot weather. Also, water is provided throughout the day, so you don’t need to worry about bringing a drink along. 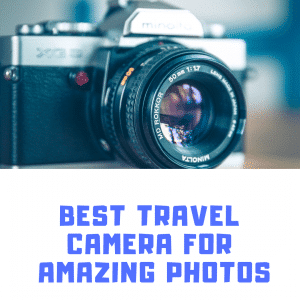 Bring a camera along – You will have plenty of opportunity to take photos of the epic Phuket street food and the amazing streets of the old-town Phuket. 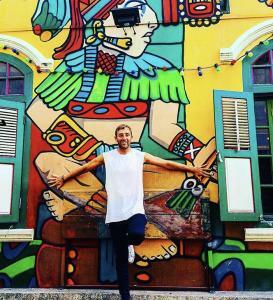 There is some really cool places to see of both Thai history and backstreet graffiti. 15 food tasting stations – You will eat your way through 15 tasty food stations. After the day has finished, you will look back at it and feel like you turned into the pacman for the day. Upon arrival at the Centara hotel in Phuket, you will notice its fine decor, pleasant staff and neat landscape. Furthermore, this is probably the best hotel in Phuket with a pool. The pools are mega, they have the clearest water and are sweet for swimming in. Also, the hotel pools are catered for different types of holidays. For example, adult only pool and family pools, all pools have swim up bars. This top thing I did in Phuket, was provided by the quality service of the Chef’s food tour. Every step of the way they ensured I had an amazing experience and helped in any way possible to make the day as best as possible. I would also like to thank our tour guide Perma for her brilliant customer service, history she shared about Thailand and the energy she put into our experience. Excellent post. This is very useful when planning a trip to Phuket. Some of the foods similar to Indian street food. Maybe the taste will be different. Thanks for sharing your experience.